Lord Ardilaun died a century ago today. | Come Here To Me! « “I see this old bad order die” – Brendan Behan at sixteen. Lord Ardilaun died a century ago today. Today marks the centenary of the passing of Arthur Edward Guinness, better known as Lord Ardilaun. Ardilaun is perhaps best remembered for donating St. Stephen’s Green to the people of Dublin, and on Sunday I appeared on RTE’s The History Show and talked about Arthur with Myles Dungan. A brief discussion, we touched on Ardilaun and his place in Guinness family history, as the son of Benjamin Lee Guinness, who put himself into the history books by paying for the restoration of Saint Patrick’s Cathedral in the 1860s. 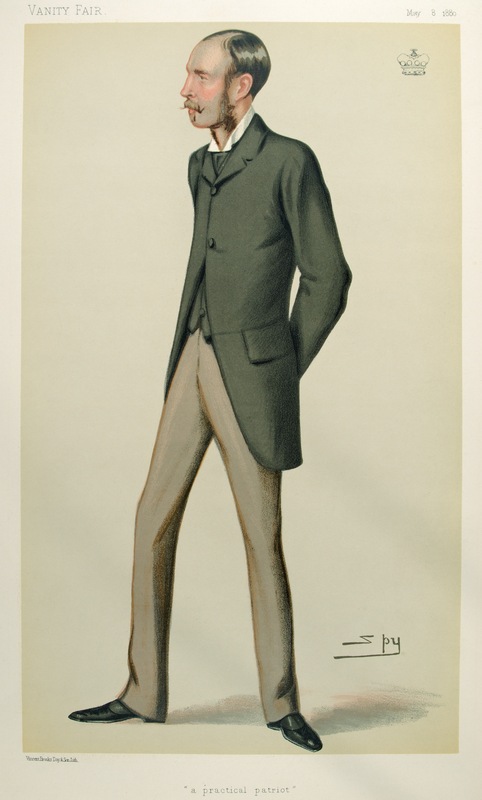 Time was against us and as such the discussion didn’t really get around to Ardilaun’s brother, Lord Iveagh (or Edward Guinness), another significant philanthropist in Dublin’s history. We have looked at Lord Ardilaun’s monument before on the site, in this 2012 post. There, it was noted that while Arthur was crucially important to opening Stephen’s Green to the public, he did not actually attend the park opening. Lord Ardilaun himself did not attend the opening of the park. Within a week of its opening, a young 16-year-old by the name of Patrick Grennan, listed in the newspapers of the day as being an ashpit cleaner by trade, became the first youngster charged with malicious damage in the park for tearing up plants! Ironically, his home was Arthur’s Lane. The park we enjoy today is in many ways unrecognisable to the park of centuries past, with the landscaping Lord Ardilaun financed dramatically changing the physical appearance of the space, giving us the wonderful artificial lake for example. In addition to the striking lake, the fine cottage home, Ardilaun’s Lodge, better known as the gardener’s cottage, is also evidence of his investment in the park. It remains for me the dream house, a stones-throw from Grafton Street with the best front garden in Dublin! 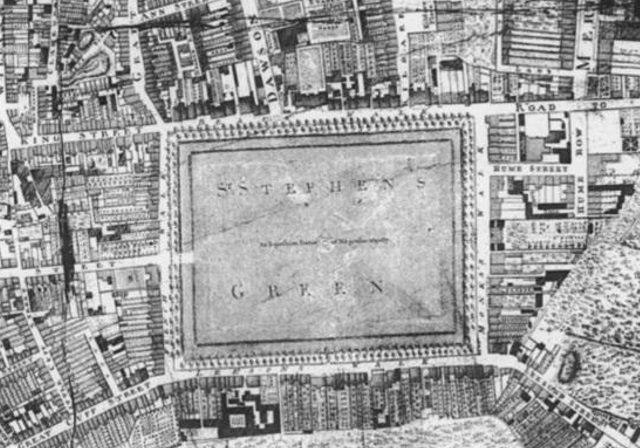 St. Stephen’s Green as it appeared in the eighteenth century.